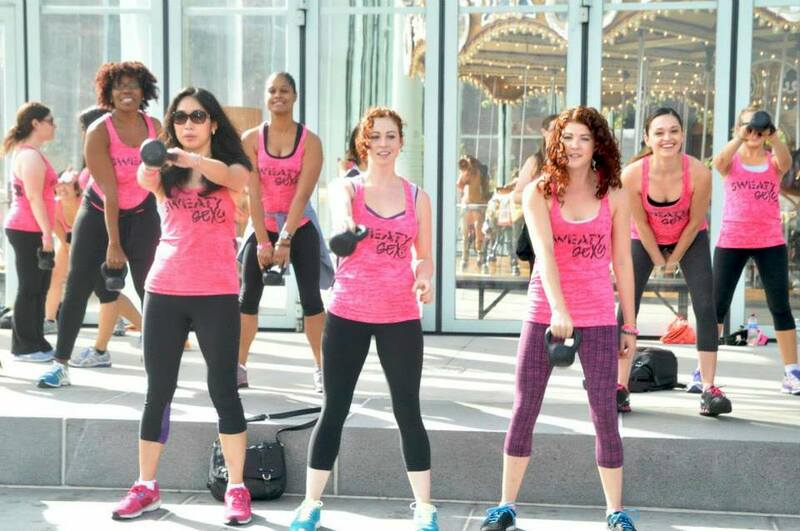 Kettlebell Kickboxing™ Body Series DVD Launch – What happens when 100 women walk 9 miles through New York City with a 10lb kettlebell? 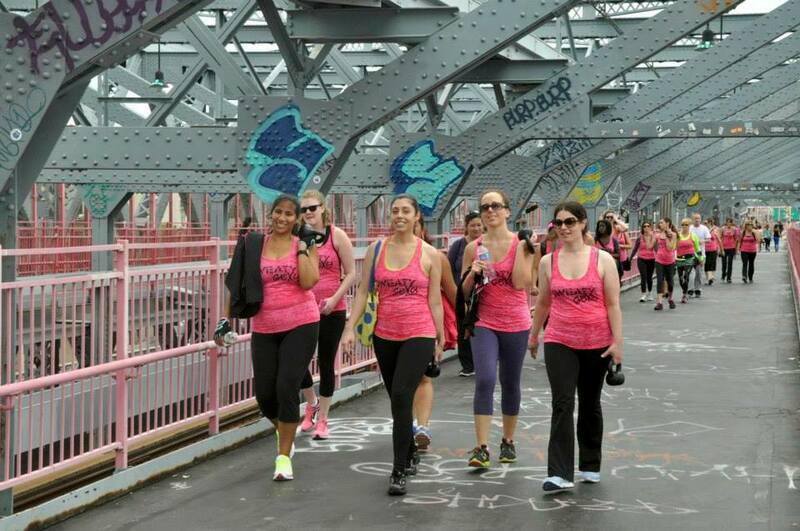 2 bridges, 9 miles w/ 10lb. 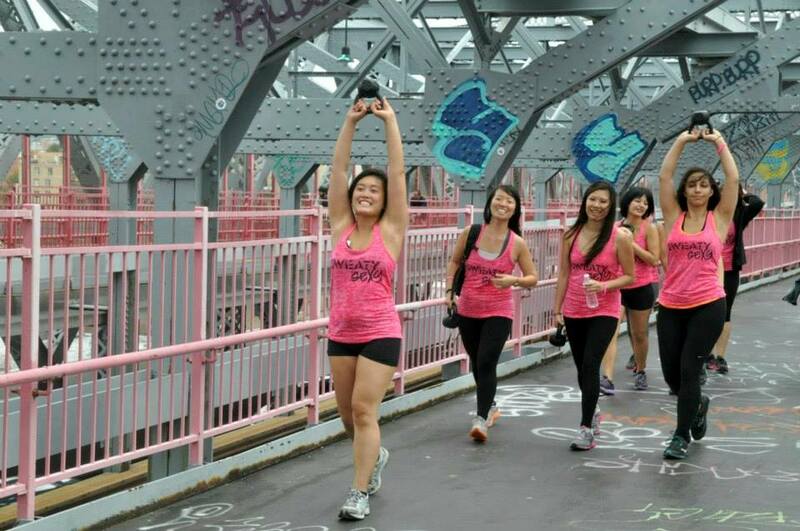 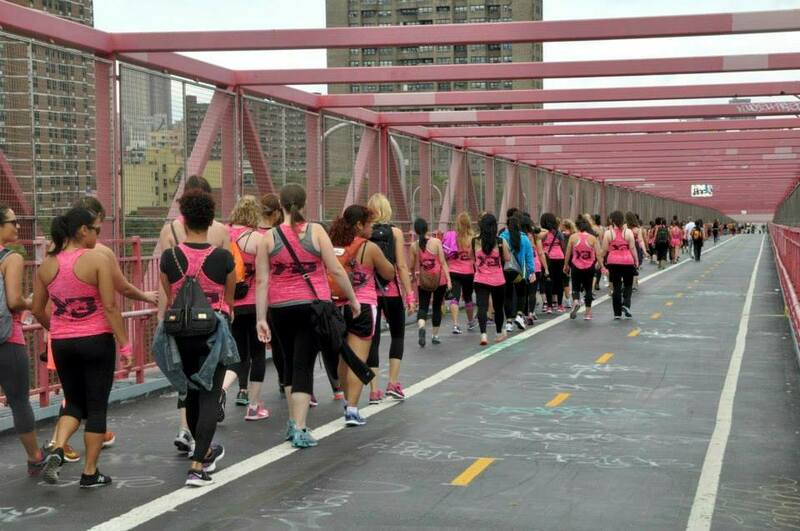 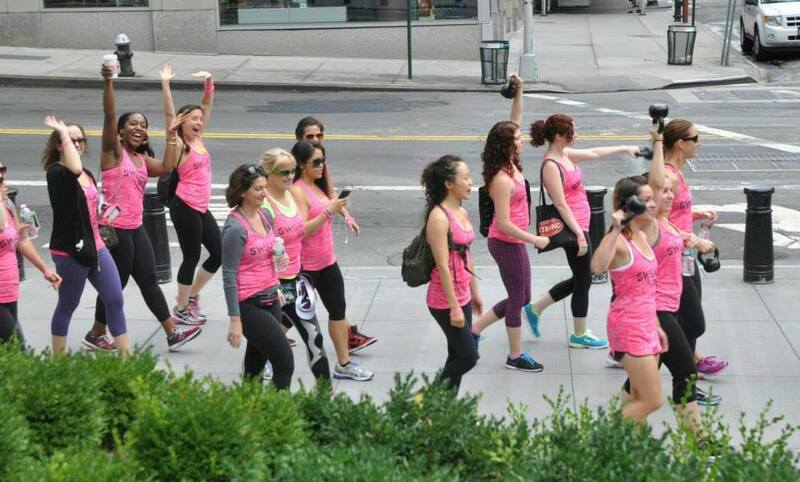 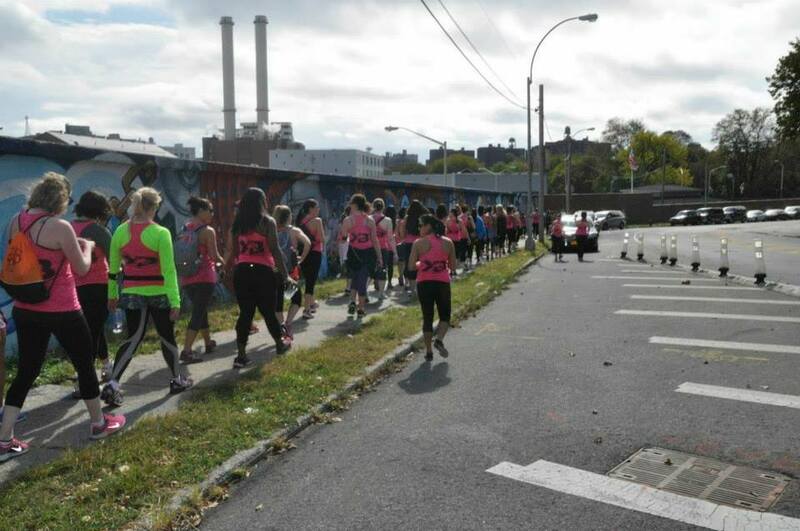 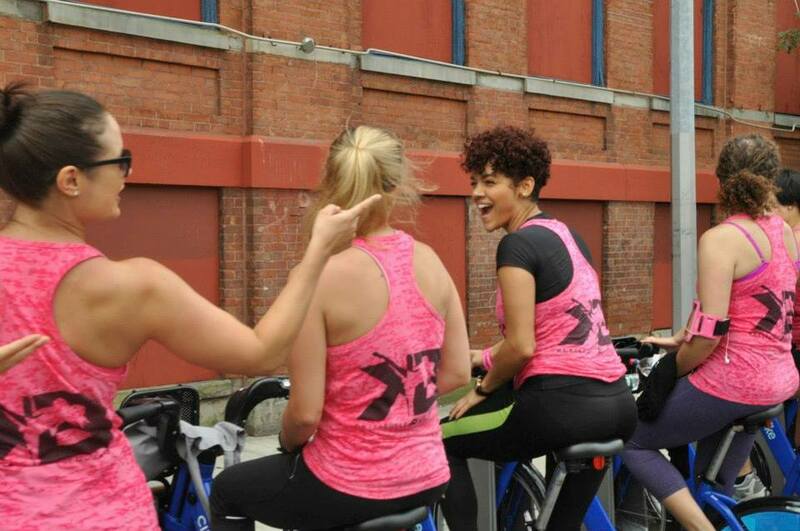 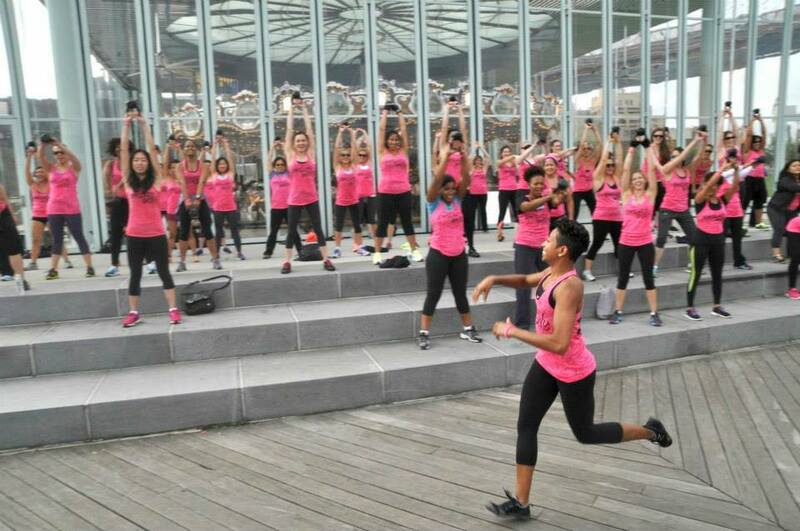 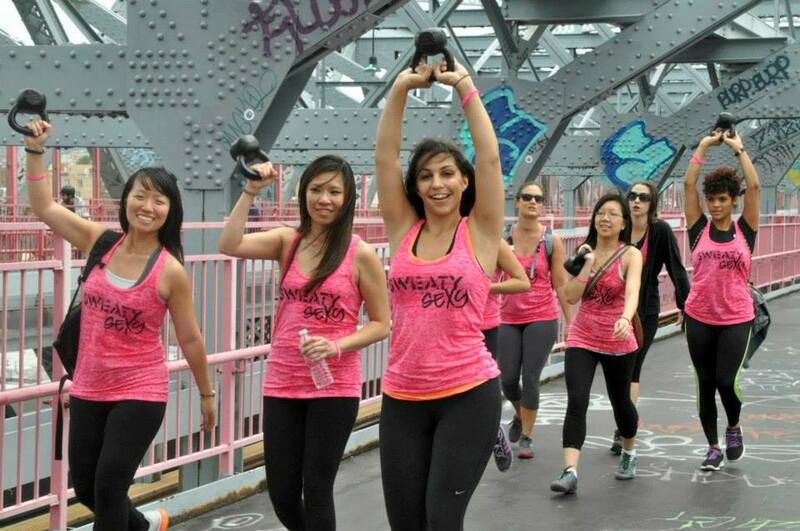 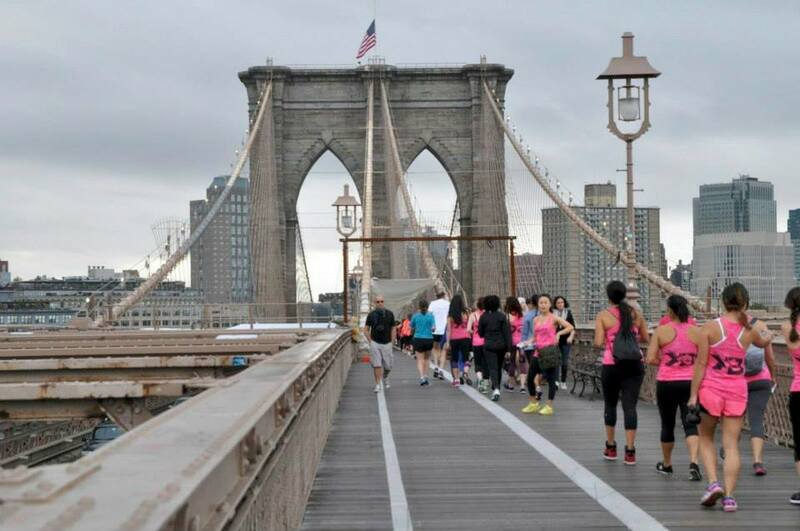 kb’s, and 100 women in matching #SweatyIsSexy tanks – uhhhh, yes we had a BLAST! 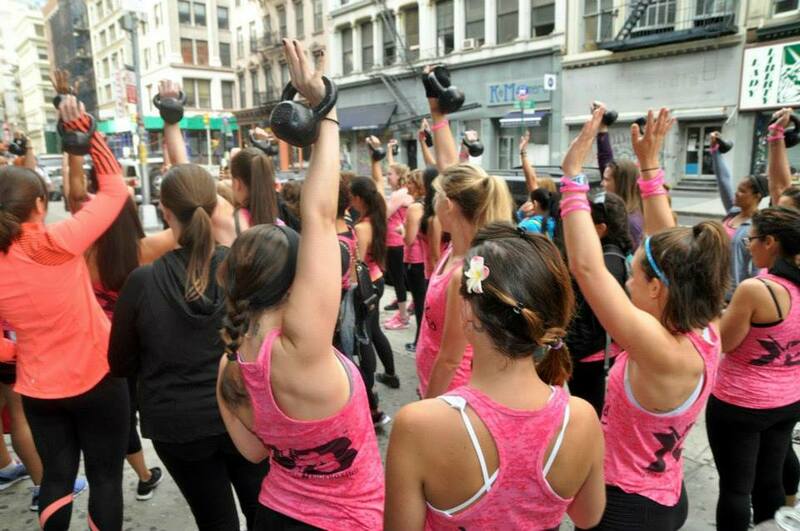 To celebrate and launch Dasha’s 11-disc Body Series DVDs we invited a lucky 100 Kettlebell Kickboxers to join us for a casual 9 mile stroll through NYC’s landmarks! 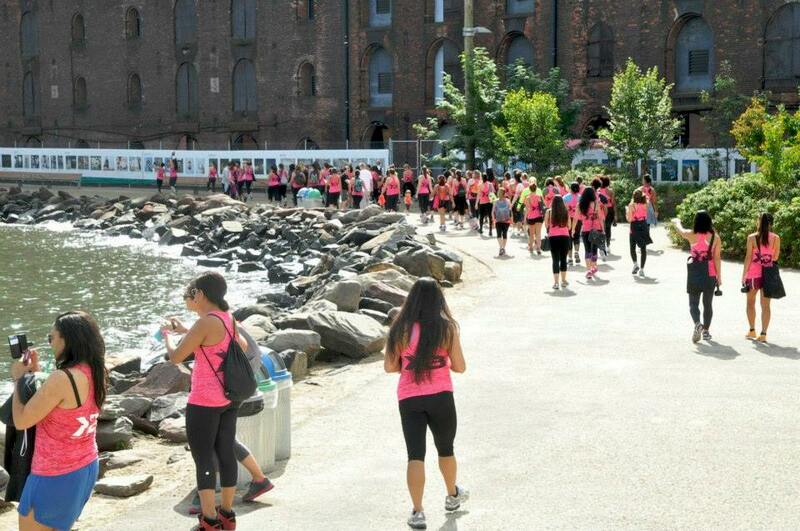 It was an incredible event and we were so happy to have the walk filled up within days. 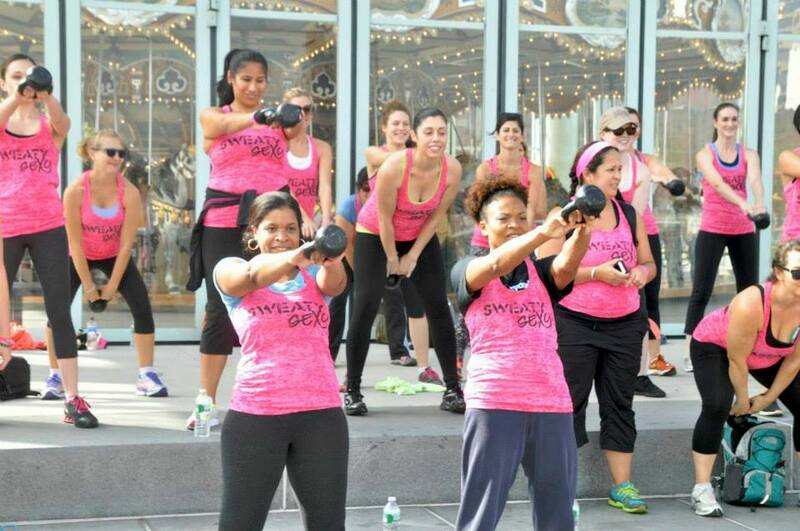 While many of our NYC gals were amongst the participants, we can not forget the Ohio, Philly, and Southern Carolina ladies who drove and flew out to join the event! 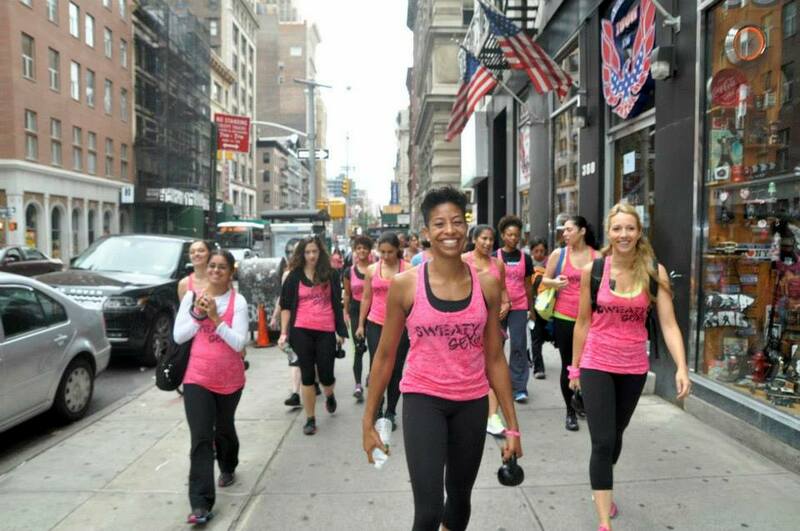 Dasha and her team were able to talk to every single girl, getting to know our loyal “Kettlebell Kickboxers.” Even better, Miss NY USA was actually amongst the many participants. 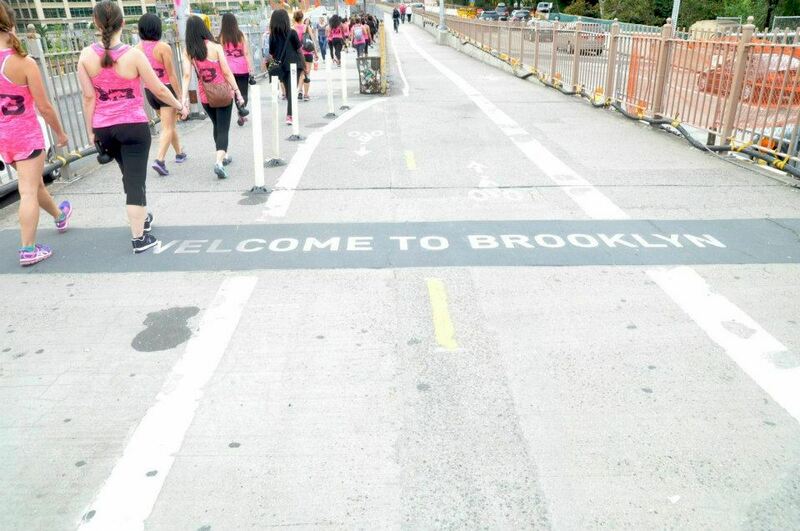 Why walk? 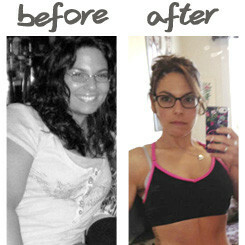 To show everyone that the biggest reason to stay fit is to enjoy our bodies. 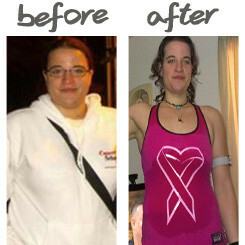 That is after all Dasha’s entire reason for investing so much time into the Body Series. 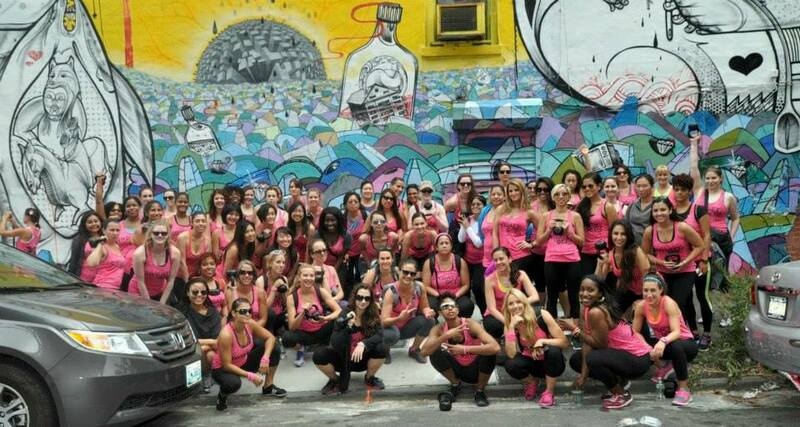 The mission her and her team is to help women enjoy their bodies inside and out, and what better way to do that then through a casual 9 mile stroll in matching pink tank tops?